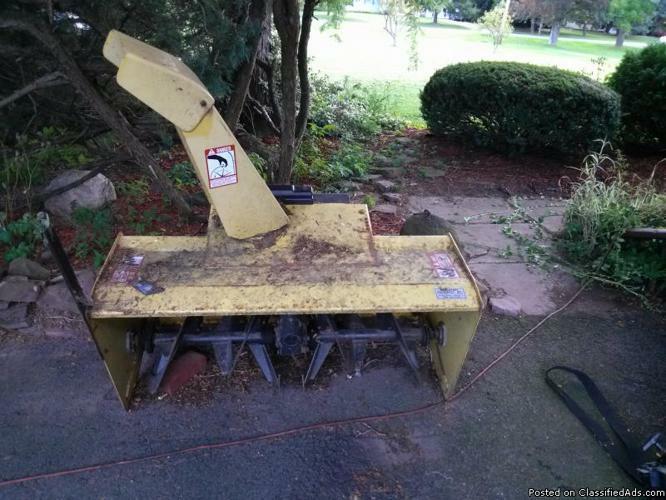 48 inch John Deere snowblower attachment accessory in good shape. You pick up. The price is set at 50% off original. Take a big swath out of winter with this unit! Toro Snow Blower, 7 horse 2 stroke Great condition $200.00 Or part trade for riding lawn mower. 1--- Larry.